After months of mystery, the will-it-won't-it of Wii U's ability to handle Unreal Engine 4 finally seems to have come to an end — sort of. Epic Games vice president Mark Rein told Videogamer that it'll be possible to port Unreal Engine 4 games to Wii U, though Epic itself doesn't intend to bring the engine to the console. Instead it'll be up to developers to work out the finer details. However, Rein noted that Unreal Engine 4 will be "supremely scalable", flexible enough to run on Nintendo's system should any developer want to port its titles. To what extent, we'll have to wait and see. Rein also continued to emphasise that Unreal Engine 3 is very much compatible with Wii U. Titles such as Batman: Arkham City Armoured Edition are already using the engine. You saw games at the Nintendo press conference again this year - a fantastic demo by our friends at Warner Bros. showing Arkham City running on Wii U. And Aliens: Colonial Marines is coming on Wii U, that's also Unreal. There's, I'm sure, several others. Mass Effect  was announced for it as well. So we're certainly playing a role there with Unreal Engine 3. 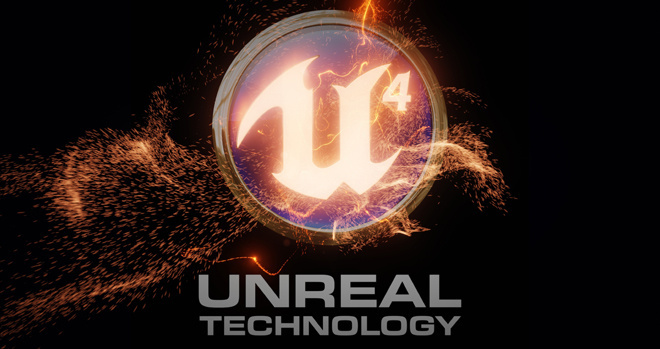 I'll state that I don't think it's our intention to bring Unreal Engine 4 to Wii U, but Unreal Engine 4 is going to be supremely scalable. We'll run on mobile phones and on a wide variety of things, so if a customer decides they want to port an Unreal Engine 4 game to Wii U, they could. But Unreal Engine 3 is a really good fit for that platform. What do you make of Epic's stance? So despite UE4 being able to run on Wii U, they'd rather use UE3? Hopefully someone gets up and starts porting UE4 to Wii U, because I've seen how much of an improvement it can be for some games (like Fortnite on PC). They need to bring that to Wii U. You rather use unreal engine 3? Nice job epic games, you just killed wii u support already. @Mk_II Yeah, they'd rather use it. I know that when someone else wants to, they can. Lazy Epic Games, won't they port their own engines to other systems? Its not being lazy but priortizing. The Wii U can run Unreal 4 because its scalable. As the engine gets closer to the E3 demo the Wii U wouldn't be able to run it. Epic is still asking the other next gen systems for better specs so of course they're going to let Wii U stick with unreal 3. It can run Unreal Engine 4. That's good enough for me. I don't think it will kill support, Epic Games isn't going to spend resources porting a game engine to a system they most likely won't develop for. I don't think this will effect any support. If the system is as easy to scale as they say then I don't think any dev will have a problem making it work for them. Just my 2 cents. How is this bad? how many Epic Games games were coming to Wii U anyway? developers still haven't started using UE4, but when they do, we´ll have games from PS4 and XBOX 720 on Wii U if the publishers choose to. This actually made my day. Not only Epic uses Unreal Engine, many others do too. Anyone expecting the other next gen consoles to run UE4 straight up need to keep expectations low. There is no information on PS4 and nextBox, just speculation. I'm glad to see they have a somewhat positive outlook for the Wii U. But UE4 seriously looks insane. Like, 3 graphics cards in your PC insane. The tech demos melted my face off. I think they mean it doesn't run quite as cleanly as they like it to but it works. This is great, because some companies, such as gearbox run nearly entirely on the platform, so this will be nice. I'd rather use UE3 as well, but thats only because UE4 drops UnrealScript, my favorite language. It'll be really interesting to see if any developer will be willing to make an UE4-based Wii U game. UE4 has been developed for PC only and with today's PC's specs in mind. If you want to use it, better you have the required power, else use UE3. I guess that scaling down UE4 to make it work on PS3/360/WiiU is a waste of time, it will affect the ported games so that the games will need to be adjusted as well. "How is this bad? how many Epic Games games were coming to Wii U anyway? " There are literally TONS of companies who use the Unreal Engine in their consoles. I'll give an example. The incredibly popular developer, Bioware. I wasn't really impressed by unreal engine 4.It looks good but I'm not getting a "WOW" factor.The 'Luminous' engine on the other hand truly blew me away. Liminous is pretty impresive as well, and again, developed for PC while SEnix stated that it will work for nextbox and PS4. They are planning an scaled down version for PS3,Vita,360 and WiiU, but this is not yet confirmed as a work in progress. Anyway I doubt PC version will be that one running on Nextbox or PS4. Epic Games don't intend on bringing the engine to Wii U, but what about other developers that have a game that uses UE4? It is good news since it means UE4 titles can be ported to WiiU. If WiiU couldn´t use it very few companies would be willing to move their EU4 game to a different engine. I don't really care because one, it looks exactly the same as UE3, and two, either way they both look meh. @Twilight Point WOW! It looks real! Sounds like the Wii U isn't going to run UE4 in any meaningful way. I play a ton of PSN games that are built on the Unreal engine and I'm always surprised since they look so simple. My guess is UE4 games on the Wii U will be of this limited DL variety and not full blown epic disc retail games. If Epic is pushing Sony and Microsoft to up their power but not Nintendo.It`s pretty obvious they don`t care at all,also if they`re pushing Sony and Microsoft to make their consoles even MORE powerful and they take the hint we could see another Wii situation if the other two companies take Epic`s advice. It does look better, but it would look even better on an unrealistic and cartoony game. Games were made to escape reality, I don't need an even grittier and darker version of the world we live in to play. I view this stance as a "wait and see" approach. If they have a way that UE4 would work better than UE3 on a Wii U game, they'll backtrack and go with UE4. Frankly I think the Unreal Engine has hurt creativity and art design in games. Every other game uses it, and every other game looks vaguely similar. I realize it helps companies save time/$, but it also yields a certain me-too quality to so many games out there. I don't know a bunch about programming, but it feels like the difference between creating a design from the ground up, or moving around the parts of a pre-existing template. If Wii U doesn't allow companies to smoothly run UE4, fine by me. Art design ... ... what is more artistic, Mario or Skyrim? @mandoble Mario Galaxy by LIGHT YEARS. @L4DYB4NSH33 why is half your clothes of?? ugh typical female. Exactly my thoughts. The whole "photo-realism or bust" standard to me is just boring. It seems like it actually puts a curb on imagination. Games that are quirky, dreamlike, and colorful do a lot more for me than games that are hyper-realistic and mundane looking. Many fun, lovable characters like Mario and Sonic would have never been created, had it not been for technical limitations. ... So... what was the point of even teasing the world? It's no harm, no foul for them, because their recon shows them that "IF" they changed their minds, they could make this happen. For Wii U potential customers, this info is USELESS. ......Ya know, this bit of info reminds me of a certain bit wars that used to take place........except now it's not bits it's all numbers with I's and P's. Seriously, who cares? As long as the games are good, deep and engrossing then it shouldn't matter if Wii U can run Unreal Engine 4 or not. Sure, it would be cool but that shouldn't be everyones main focus. Games. Come. First. LOL i just notices that Epic Games never ported an Engine, EA Ported UE3 with Medal of Honor Airborne, Eidos done it with UE2 on Deus Ex: Invsibile War and UE1 on Mac with the very first Deus Ex.